Blue; Browne/Frey/Henley/; Frey/Henley; Frey/Henley/Leadon/; Frey/Henley/Meisner; Frey/Henley/Nexon; Leadon. Very Good. In very good packaging. 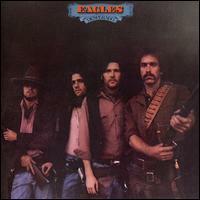 Eagles-Desperado [International Release] by Eagles.